Mulch can be a very effective way of controlling weeds, but organic forms of mulch also can be ideal places for pests to live and breed. When organic mulch is placed too close to your house, it can provide pests with hidden opportunities to make their way into your home. Following is information about the different forms of mulch, why some can be a problem, and how to prevent that. Organic mulch could be leaves, wood chips, tree bark, compost, pine needles, or a multitude of other such materials derived from plants. Inorganic mulch may be natural materials such as gravel, pebbles, stone, or crushed or volcanic rock; it can consist of man-made materials such as ground or pulverized tires, solid sheets of fabric or plastic; it can be made up of other non-plant material. Improve water retention for desired plants. Provide insulation to regulate soil temperature and moisture. Increasing the moisture content of the soil by reducing or slowing evaporation. Helping “feed” the quality and fertility of the soil as it decomposes. Because of this, it is important that organic mulch not be laid near the foundation of the home. Rather a “free zone” of at least six inches should be maintained. While it is best to leave this zone bare, it can be filled in with small amounts of non-organic mulches (gravel, stone, rock, etc.) for aesthetic landscaping. It is also important that the ground is graded away from the foundation of the home (or any building) before placing any mulch. This enables water to run off away from the structure instead of toward it. Another difference between organic and non-organic mulches are their longevity. Because organic mulches do decompose to benefit the soil, this also means that they will not last as long and need to be replaced more often. While non-organic mulches do not provide the soil-nutrient benefits of organic mulches, they will last longer because they do not break down. Additionally, non-organic mulches are much less likely to attract above-ground pests, though their insulation of the soil can still create harborage areas for below-ground pests (such as termites). 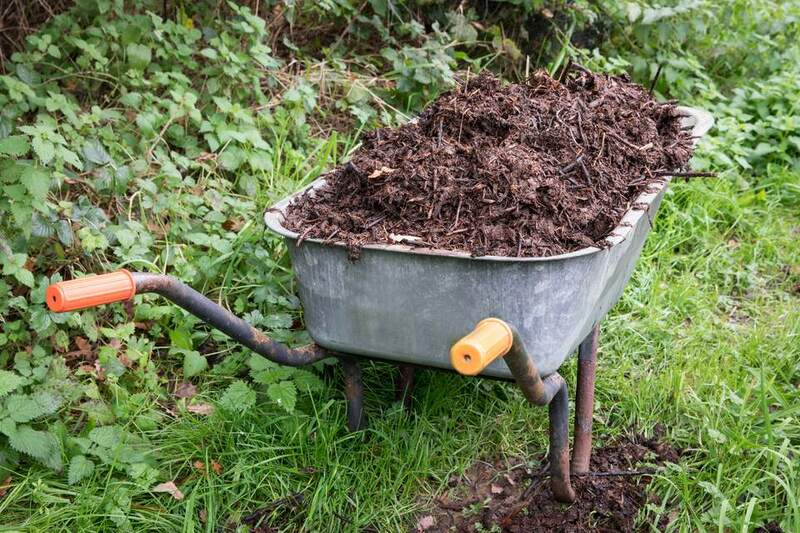 A good tip for the use of mulch is never to layer it more than three inches deep. This is true whether you are laying organic or inorganic mulch, but it is especially important for organic mulch. Anything beyond about three inches may never dry out and cause too much moisture in the soil. However, you don't want the layer to be too shallow, or you will defeat the purpose of its use. You would likely make it more necessary to first place a plastic or other fabric sheet/cloth before placing the mulch, use an herbicide, or hand-pull any weeds that grow up through the mulch. In any case, mulch should be used fairly sparingly to prevent termites which may see the mulch as harborage or food. If you have an existing or have had a previous, termite issues, this is especially critical. Although termites aren't really “attracted” to an area, if there are any around the property, they can easily tunnel to the mulch - then beneath and into the wood of your home - to build out their colonies. Because both organic and non-organic mulches cause moisture retention, which the termites also seek, both can be an issue – and should never be laid as to contact any wood of the home or other structure.